On Hurray for the Riff Raff’s new album The Navigator, Alynda Segarra tells an interwoven, cinematic story of a wandering soul at a crossroads of identity and ancestral weight. It finds a street kid named Navita traversing a perpetually burning city in search of herself. ‘The Navigator’ is a thrilling call to arms that could not come at a more crucial time. 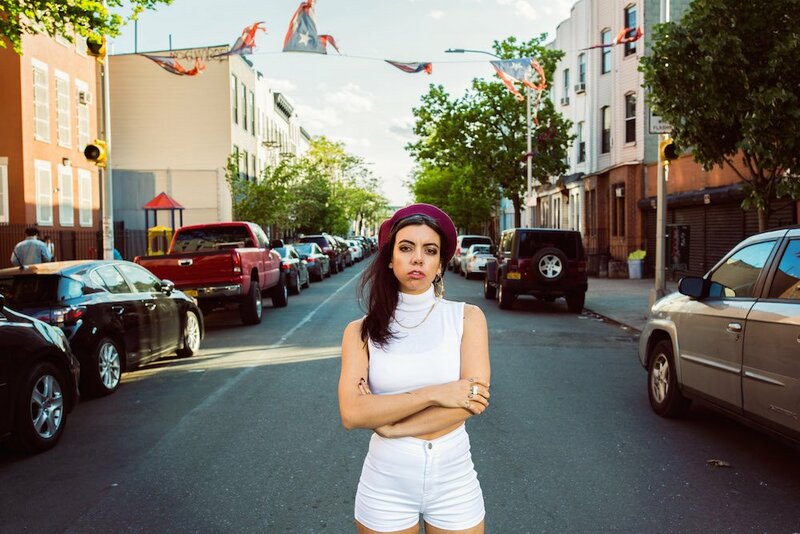 It also finds Hurray for the Riff Raff at its own musical intersection, delving deep into the worlds of Latin rhythms, searing rock, and incisive ballads. The Navigator was produced by Paul Butler (Michael Kiwanuka, St. Paul and The Broken Bones, Devendra Banhart) and recorded at Electric Lady Studios in NYC and Panoramic House in California. The album features percussionists Juan-Carlos Chaurand, Gregory Rogove (Rodrigo Amarante), a trio of Bomba drummers, and Doo Wop singers from New Jersey. The 12 original songs were inspired by Segarra’s own journey from the South Bronx to the downtown punk scene and beyond, in search of her identity. She looked to poetry including Pedro Pietri’s ‘Puerto Rican Obituary’ and the Nuyorican Cafe, the singer-songwriter Rodriguez, Puerto Rican activist groups the Young Lords and the Ghetto Brothers, Fania Records and more.